Background Due to their favorable toxicity profile and lack of interactions, benzodiazepines have been proposed as prophylaxis of busulfan induced seizures. Although they are broadly used in pediatric patients, the experience in adults is limited. Objective To describe the effectivity for seizure prophylaxis of the fixed 1 mg every 8 h (q8h) i.v. 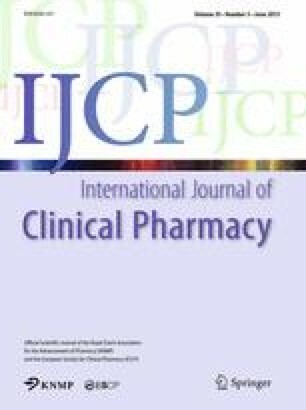 clonazepam dosing in adult patients receiving high dose i.v busulfan, as part of the hematopoietic progenitors transplant conditioning regimen. Methods Retrospective, observational study, from January 2008 to June 2012. Patients over 15 years old that had received high dose busulfan and prophylaxis with 1 mg q8h i.v. clonazepam from 12 h before the first dose of busulfan to 24 h after the last one were selected. The primary endpoint was the occurrence of seizures until 72 h after finishing conditioning. Results Thirty-three patients, 13 female and 20 male, median age 48, were included. Autologous transplant was performed in 17 patients and allogeneic in 16. Busulfan dose was 3.2 mg/kg every 24 h with a variable duration of 2–4 days. No seizures were recorded. Conclusion The 1 mg q8h i.v. clonazepam fixed schedule is easily administered and is effective for the prevention of high dose busulfan induced seizures in adult patients.